I looked down at my craft desk this morning to see this awesomeness, I mean mess, BIG OLE MESS! It was terrifying, and intimidating and something needed to be done. I started with what was right in front of me, my little bench block and a bit of extra wire. 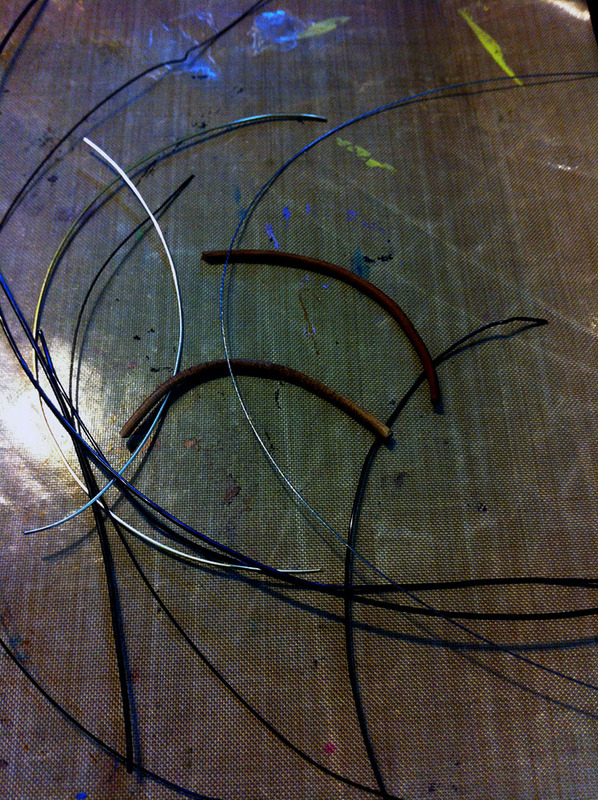 So, I cleared the wire away by going ahead and just making some wire clasps. As I unearthed the layers and layers of debris and supplies from my desk, I found even more leftover wire and bits of cord. I can't bear to throw away these plentiful lengths of workable material. So, what do I do? I stuff it in a jelly jar. Yup. . .I'm a hoarder. Big time. At some point I will sit down and make something from this treasure. I've even got a few ideas. Until then, I guess I'll keep it squirreled away. But look. . . my desk is clean. What do you do with those extra bits of wire and cord when a project is complete? Do you seriously toss them or are you skilled at only cutting off what you need? Do you save it like me? I'd love to know. Bravo, you! I hate clearing my desk. I try to keep any lengthy-ish bits of wire and cord. 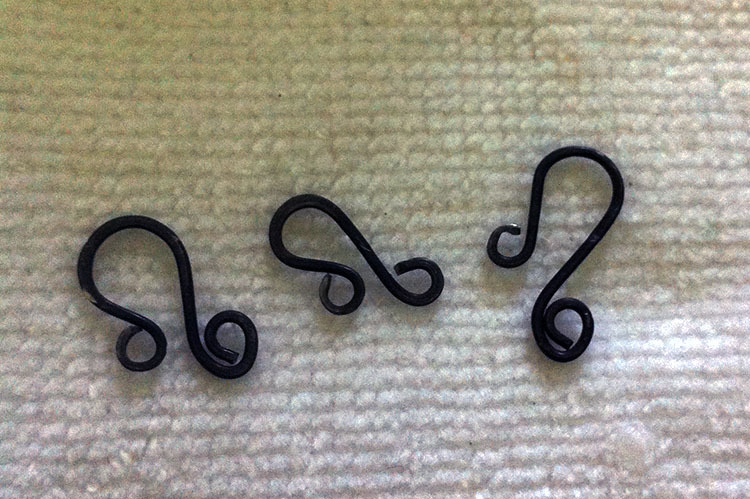 I use the wire to make into eye pins and bails/loops on charms and pendants. 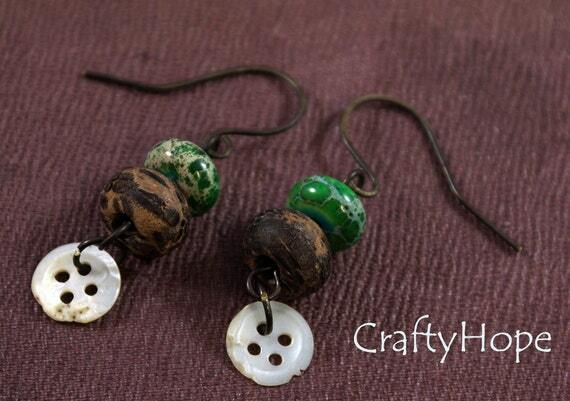 I use the cord for price tags and attaching thank you beads to business cards. Hope you find a use for them, yourself! Nice new designs too! I don't have nearly as many different wires as you, but I keep most of them in zip locks and any bit of wire longer than 5 cm (that's like 2 inches) gets put back in the zip lock. Or if I'm in the mood I just use it all up to make jump rings. Love the necklace in the last photo! Ana, Yeah. . .I'm a little wire crazy. Shoot I've got way more hoarded than I may ever need. Nahhhhh. I need it ALL! ;) It's good to hear that you keeps yours too. I was worried that I have more of a problem than I thought. Whew! Thanks for backing me up on this! Oh my gosh...I keep every little bit than can be used again lol! If I throw the tiniest thing away you can bet I will need it sometime later. Btw, I love those clasps you made! Love that last necklace - what kind of stones are those? pretty! G, HA! At least now I know how to get your attention on my blog! I remember you telling me about the hoarder's thing. I can't imagine you getting rid of much. You got rid of so much before the last move. I think the only thing you have an abundance of is books. If I could pass on the motivation I would. I don't know what caused it though. . necessity perhaps! ;) Good luck and let me know when/if you need some help. 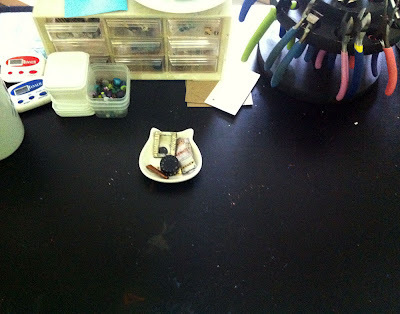 It is a constant battle for me to keep my bead table clean! at the moment I have sari silk in every direction. sigh. But I do keep the bits and pieces! I use them for earrings .... if I can eek out enough of the left over. and no, I am not skilled at cutting off just what I need. Whenever I think I have I seem to come up short! What beautiful new pieces of jewelry! 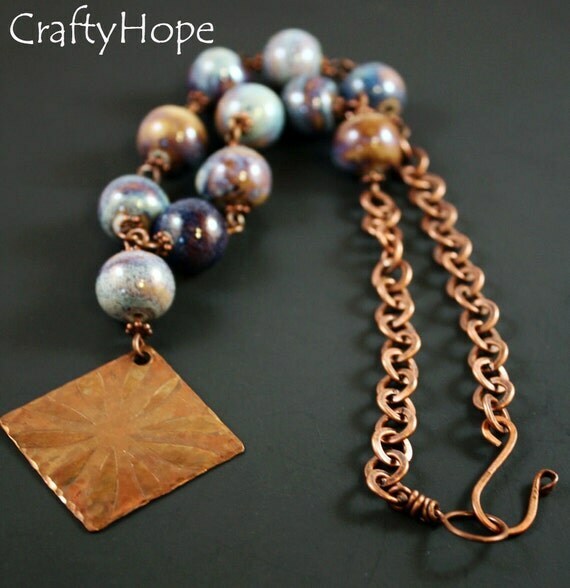 I especially love the necklace with the brass chain. Your studio looks amazing! My work space looks like your "before" picture and then some! 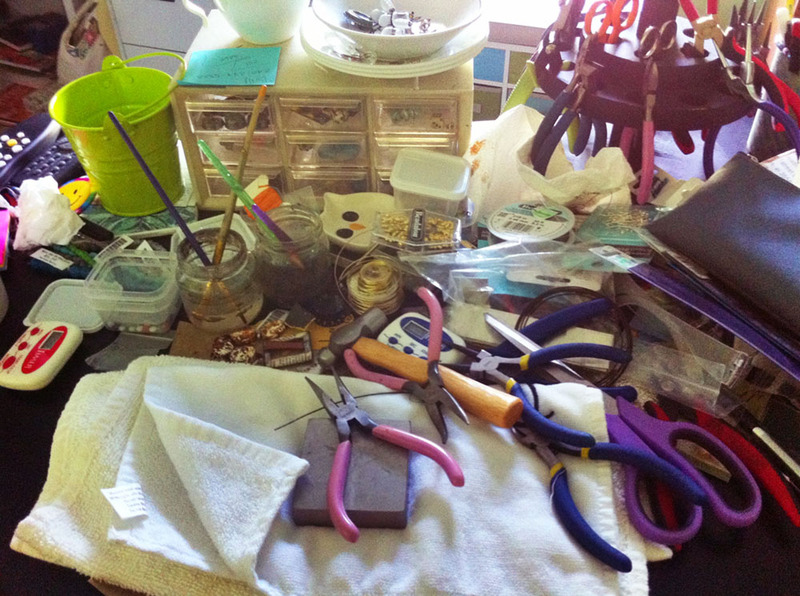 I literally just work on the floor so the entire room is covered with beads, tools, jewlery and more beads. 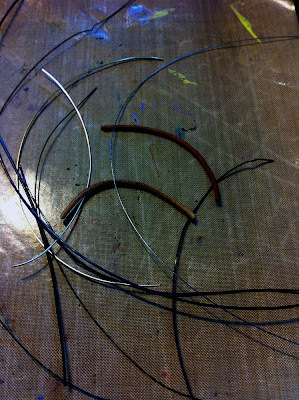 I try to work from the spool as much as possible when using wire. 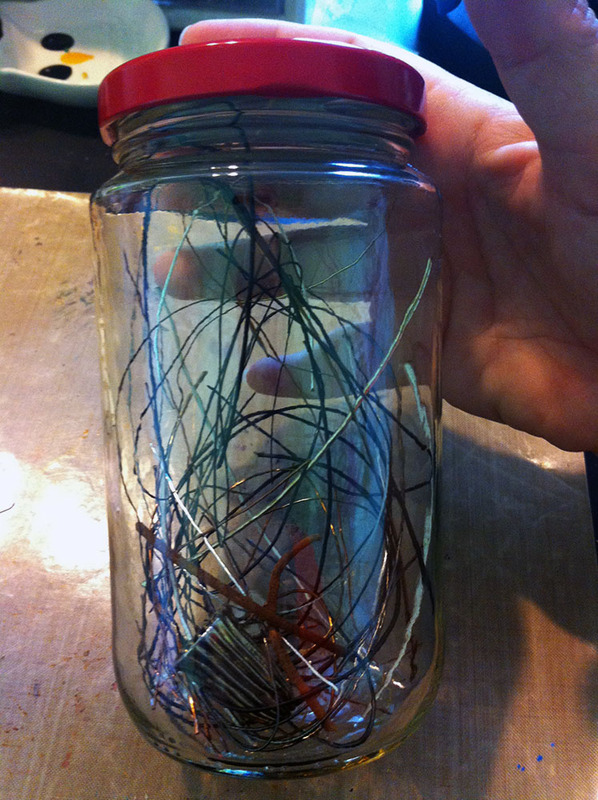 I do have a ton of wire bits and pieces and save them if they are long enough. I am a classic hoarder too!